This cake is delicious. 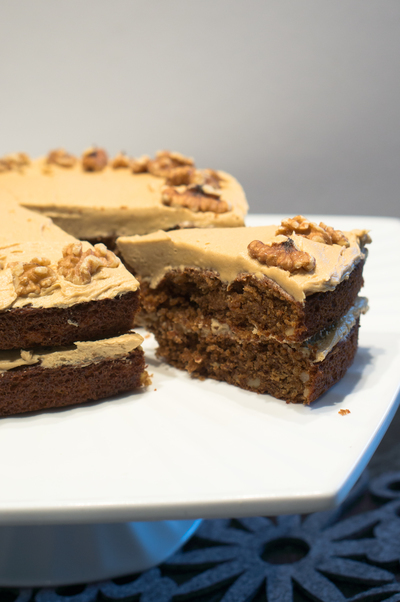 The combination of coffee and walnut is a match made in heaven and the frosting is so good that I could eat it in spoonfuls! 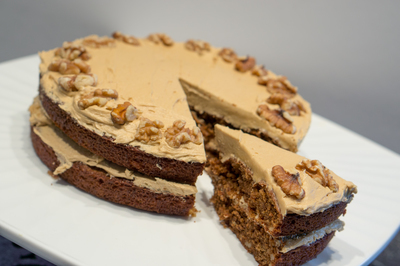 The walnuts throughout the cake give it a lovely texture and the cake itself is nicely moist. An easy one to prepare and even easier to eat! 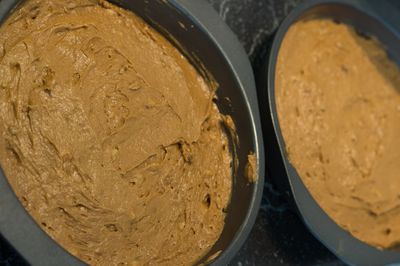 Pre-heat the oven to 180 C. Grease and line the bases of two 20cm/8-inch cake tins. 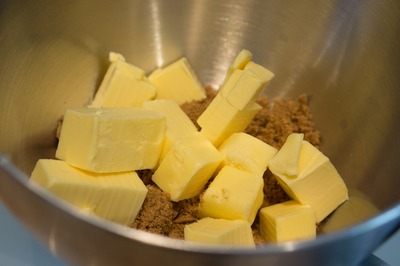 Cream together the butter and muscovado sugar until pale and fluffy. Gradually add the eggs, beating well after each addition. Beat in the coffee. Sift in the flour and baking powder and fold gently until combined. Fold in walnut pieces. Divide the mixture between the two cake tins and smooth the top. Bake in the middle of the oven for 20-25 minutes or until golden brown and springy to touch. Turn out on to a wire rack to cool. For the frosting: beat together the butter, icing sugar, coffee and vanilla extract, mixing until smooth and creamy. Use half of the frosting to sandwich the cakes together then spread the remaining frosting on the top and swirl with a palette knife. Decorate with walnut halves.